New take on real estate property photography…? Courtesy of our cousins cross the ditch comes this new take on photographing a property for real estate marketing. Posted more photos here at Open Home Photo. This entry was posted in Buyers, General, photography, The Market on March 27, 2016 by David Leggott. Well I guess someone had to give it a shot one day, and it serves as a stark reminder of one of the number one reasons why a person should work hard to own their own property if at all possible. It means you have control, well that and the banks too I suppose. Not exactly someone who shies away from a headline is he? In fact he has already started doing it. Not exactly unafraid of making political like statements, Fergus’s comment when asked why he has to increase rents…. …should ring a bell with our friends across the ditch with regard to politicians bantering around taking negative gearing away. He will now be seeking similar rent increases across his property empire. Is he worried about it? Here’s his answer…. …and writes an interesting piece, with a bit of background on the Celtic Tiger thrown in. Perhaps its not much to be worried about, but I guess the same could have been said for Australias “Management Rights” industry once upon a time. Now players like Mantra are really taking a share. Interesting times we live in…. This entry was posted in Buyers, General, New Zealand, rent, Sellers, Stats / Sales Data, The Market on September 14, 2015 by David Leggott. Was a busier month was August 2015. This screenshot above is from data I compile monthly for my database* clients. 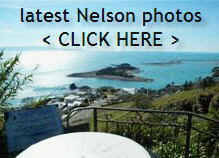 June saw Nelson City start with 398 homes for sale, yet by tonight, Sunday 13th Sept, that number sits at just 279. I believe they call it Supply and Demand folks. – send me an email and add “Subscribe to Data” in the header if you’d like to get this sort of thing on the local market. This entry was posted in Buyers, General, Nelson, New Zealand, Sellers, Stats / Sales Data, The Market on September 13, 2015 by David Leggott. ….and you know what….for once they don’t seem to be happy about the level of the NZD, in its current incantation! and just in case you are wondering what Google are sayin’ (as at 9pm anyway) about this event which was “all over” the NZ media today…. …actually am slightly stunned by there (“Googles that is”) lack of news about it….maybe the world really is changing and its looking like I can imagine what it feels like to live in China? This entry was posted in Buyers, General, Mortgages Finance Money, New Zealand, retirement, Stats / Sales Data, Technology, The Market, Uncategorized on September 26, 2014 by David Leggott.